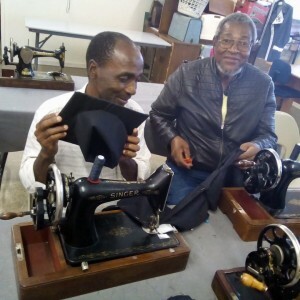 This is members of our men’s group – sewing gowns and hats for Pre-school and Grade 1 graduations. Men too can do sewing. Community upliftment in action. 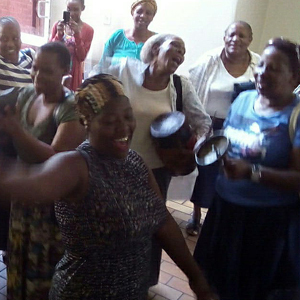 One of our Phakamisa Support Groups as they come dancing and singing out of the end of Devotions Support today saying there is no one like God and there will be no one like God. What a wonderful morning. 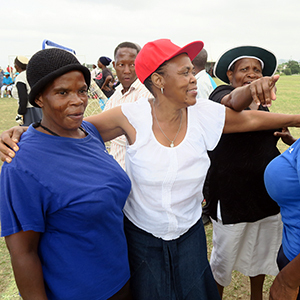 On Saturday 11th November we held our first Gogo Fun Games Day, and it was just that a day of fun and games for 150 Phakamisa Gogos who were able to attend the event. An opening ceremony in PMC Church, the team (red, green, white, yellow and blue) then headed out of the building, across the road and down onto the playing field of Pinetown Primary School. 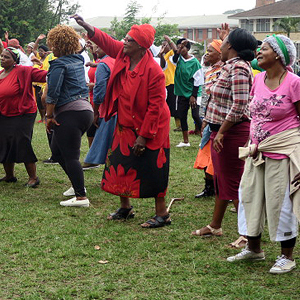 The gogos warmed up with an aerobics session and then followed the soccer tournament. Relay, egg and spoon, 200-metre races, skipping, hula-hoop were the events with the netball tournament ending the games. 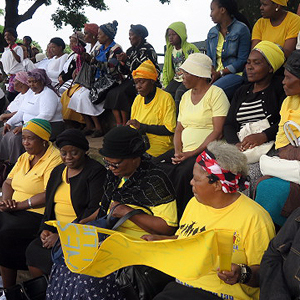 It was a noisy, warm atmosphere on a South African winters days (rainy and cold) with our gogos fully immersing themselves in either participating in or cheering from the sidelines. Energy boosting fruit was distributed during the morning, with a lunch of chicken, chakalaka, steam bread, cooked and served by PHAKAMISA staff. Medals were handed out to the winning team (yellow) and the Woman of the Match for both netball and soccer. 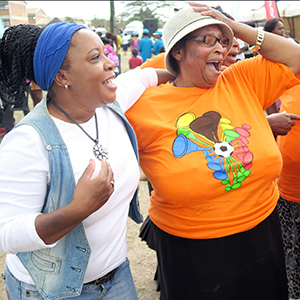 The first Phakamisa Gogo Fun Games Day was a huge success and testament to the planning and organisation by Thokozani and her team. Our new stock. We cannot wait for orders. 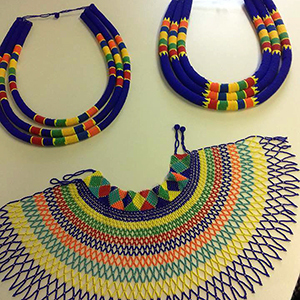 You can design your own and have your own colours. Theme of the day was Head wrap and white as we discussed the topic under “Fill my Cup” Psalm 23 verse 5 “You prepare a feast for me in the presence of my enemies. You honor me by anointing my head with oil. My cup overflows with blessings. 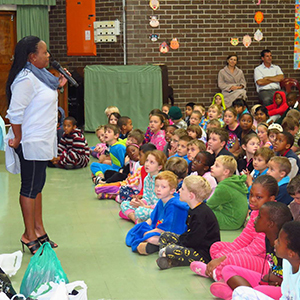 On Friday 10 June children and teachers at Pinetown Senior Primary School had their annual “PJ” day. 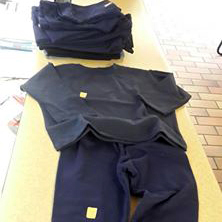 They all got to wear their pyjamas to school, and in return brought items of clothing for the children of Phakamisa. 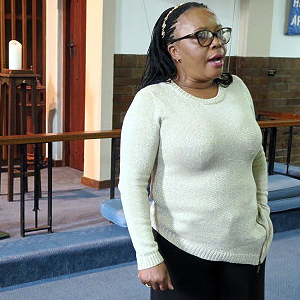 The school children were spellbound as Thokozani explained to them the desperate situation of the Phakamisa children and that many of them had no warm clothes to wear. Approximately 800 items of clothing were collected that morning. 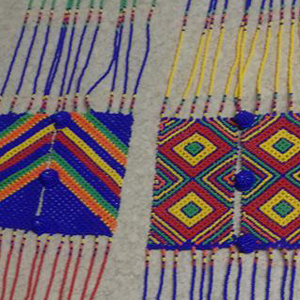 Lots of Phakamisa children will benefit this Winter. Phakamisa thanks the Headmistress, staff and all the pupils of PSP for their support. 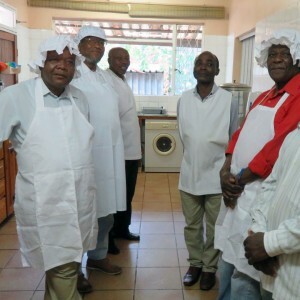 We’ve been blessed with visitors from the Methodist Church in Ireland, who have spent time with Thokozani and the team learning more about the work of Phakamisa. In our morning devotion today, we shared a scripture on Mathew 19 vs 16-22, teaching about a rich man who had everything but he was lacking one thing in particular, ‘happiness’ Our emphasis has been how we can gain more knowledge from sharing with each other. Shalom. We are so grateful and love the continued support of so many friends within our church communities. 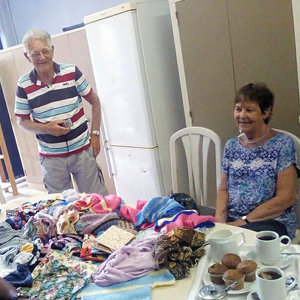 Thank you Woman’s Auxillary group at Hillcrest Methodist Church – you’ve done it again, lovely making and providing soft, fleecy warm children’s clothing which we will be giving to many of our children in need. Thank you also to the WA at Pinetown Methodist Church who have collected jars of jam, which now means so many of our Gogos can enjoy bread with jam. Our focus during August was on Women with celebrations on Womens Day. 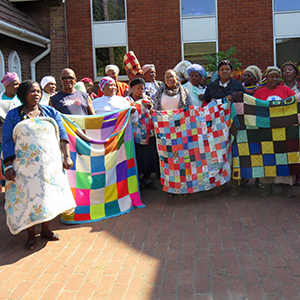 Pinetown Senior School donated a batch of beautifully hand knitted blankets to Phakamisa which we have been able to give to many of our Gogo’s (grannies) in need of warmth this winter. We would like to extend our gratitude thanks to everyone. Remember a wise woman builds her house, but the foolish pulls it down with her hands. 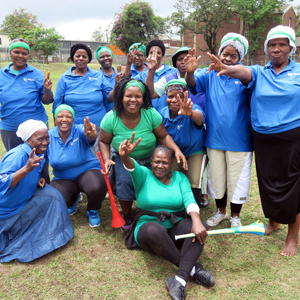 A great many of our Gogos (grannies) took part in the 6th annual Gogolympics organised by Hillcrest Aids Organisation (partnered by Dept of Sports and Recreation, eThkwini Municipality and The Fishers Net.) at the Molweni Sports Ground. 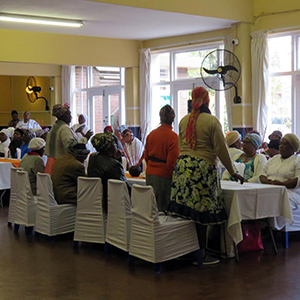 Two thousand Gogos (grannies) from communities across the eThkwini district had been in training for this event which was a great day for all those taking part and their supporters. 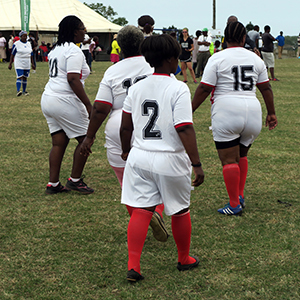 We had a good number of Phakamisa Gogos (grannies) in a variety of football and netball teams playing matches alongside others who made relay teams. They were cheered on and supported by some of the staff who were able to make the journey to the ground and enjoy this special event. Trainers – Nellie, Zola, Alexia, Dumazile, along with monitor Magugu, our administrator Zethu, and student social worker Qondi together with Thokozani and Themba our driver. 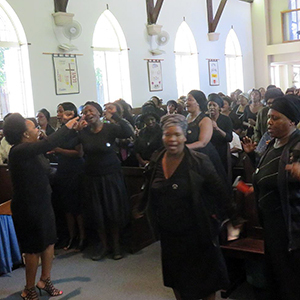 ‘It was such a special day for both our Gogos and the staff team’ said Thokozani. ‘Our Gogos were overjoyed that we had come to see them and we were all so happy to enjoy this special day’. 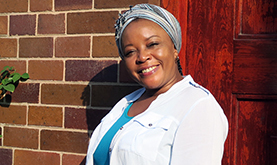 Doris is our Caregiver Leader for the Nyuswa Group which has 10 gogos. 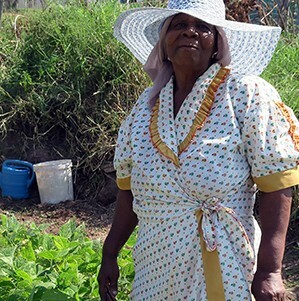 With little rain this winter we are experiencing a drought which makes it difficult to plough and lots of watering by hand, But somehow we still manage, and in our Devotion times, we continue to pray and share and support one another. ”I like the gym since I started doing it I no longer have knee problems”. “We’ve been motivated by the gym even if we are not at Phakamisa we continue with our group at home”. “In our area we have now started soccer teams and the idea was given to us by this young boy (instructor). 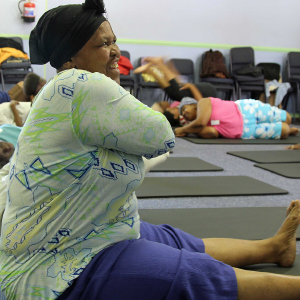 It really helped us we are now fit and no longer have sicknesses”. Our caregivers and students continue to share stories during devotion time and some were shared during a one-on-one consultations basis. Some were good or happy stories and some were sad stories. Devotions are still seen as one of the important aspects taking place in the morning and assist in creating some sense of belonging to members, whilst also building a sense of trust towards one another – hence, it allows individuals from different groups to open up and share their stories much more easily. 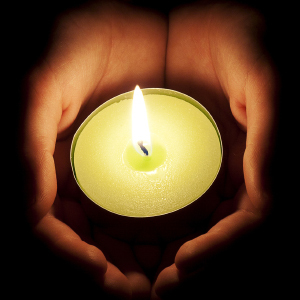 Many of the stories shared are sad and heartbreaking – please pray for this aspect of our ministry. 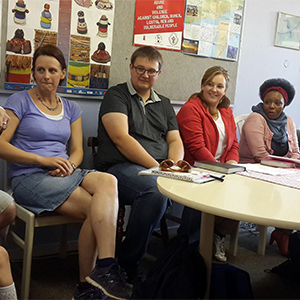 Trainings in Child-Minder and Educare were done successfully again this year. 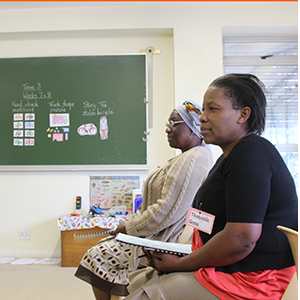 Thank you to our dedicated Early Childhood Development (ECD) trainers and monitors as well. +175 teachers graduated at the end of 2015. 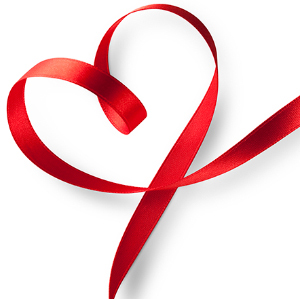 The enrollment and the training for 2016 has been started for both courses. The group has grown tremendously over the last year – but the majority of group members were sick in 2015. They have been in and out of hospital. We thank God for being with the members throughout their trying times. They all survived till the end of the year and trusting and praying that they will be back in one piece in 2016. The group has started selling chicken to the community and the Phakamisa staff is supporting the project as well. 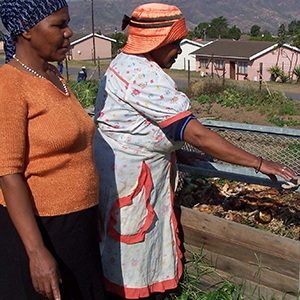 PHAKAMISA responds to the needs of adults and children from poor communities many of whom are living with HIV/AIDS through our uplifting and economically empowering programmes.